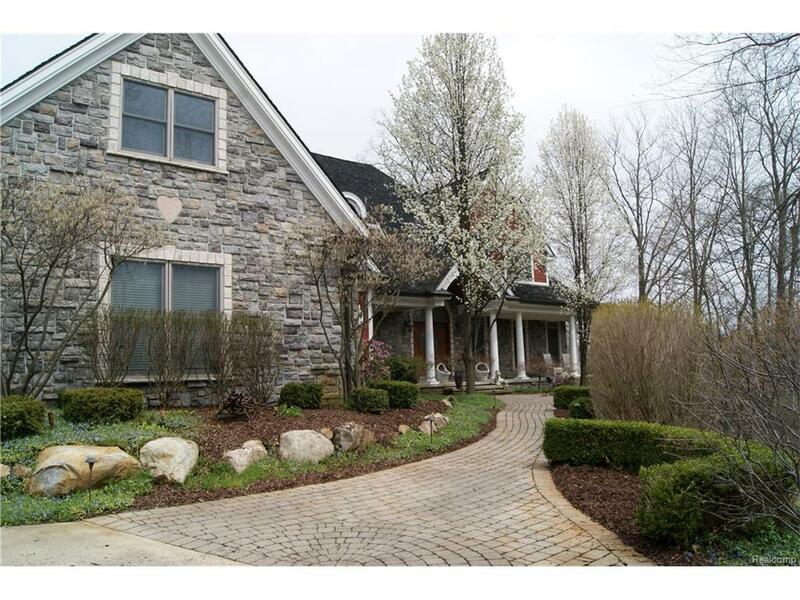 Custom Estate Home Situated on Private Serene 1.4 Wooded Acres w/ Frontage on Flanders Lake. Meticulously Built by Owner w/ Incredible Details, Wood Trim, & Amenities T/O. Interior Features 2-Story Living Room w/ Granite FP & Custom Cherry Wood, Gourmet Kitchen w/ Custom Cabinets, Huge Island w/ Snack Bar, Premium Appliances & Hearth FP. 2-Story Great Room w/ Stone FP. Dining Room w/ Granite Buffet. Library w/ Cherry Wood & Coffered Ceiling. 1st Floor Master Suite w/ Cedar Ceiling, Luxurious Bath w/ Jetted Tub & His & Her WIC's. Dual Staircase to Upper Level w/ Custom Wood Ceiling Details & & Bridge. 4 Upper Bedroom Suites. Secret playroom between 2 bedrooms accessed through chalkboard wall panel. 3,000+ Sq. Ft. Walkout LL w/ Oak Walls, Family Room/Theatre Room, Fabulous Wine Cellar, Wet Bar, Game Rm, Exercise Rm, 6th Bedroom Suite, hidden wall panel to Storage Rm. 4 Car Garage. Brick Paver Walkways, Gorgeous Landscaping, Beautiful Nature Views. Truly One-of-A-Kind! All M & D Approx.